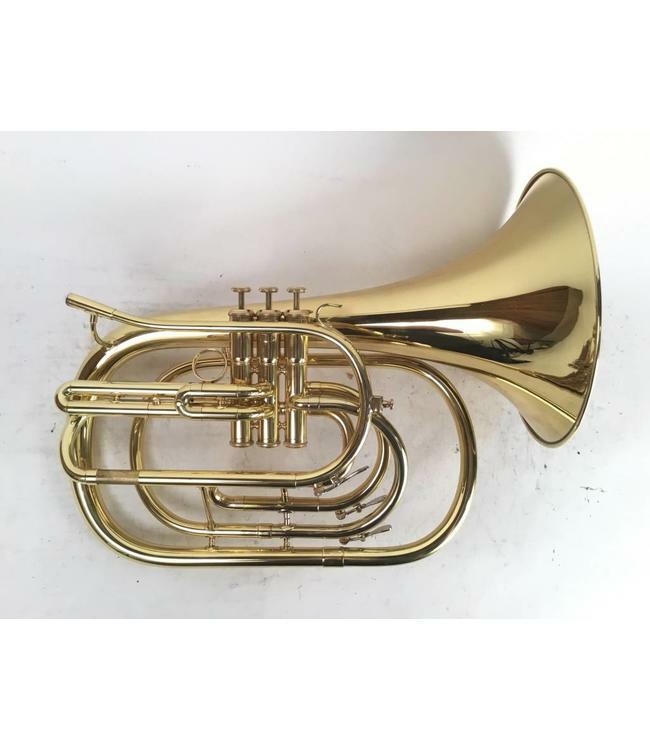 Used - Demo Kanstul model 285 marching french horn (pitched in Bb) in lacquer. Excellent condition and includes case. .470" bore and 10" yellow brass bell.